It is not uncommon in the Caribbean and is often a “political football” on either side of the political divide. In times of austerity, should cuts in health care ever be an option? This is a tough question to ask any Minister of Health or Health Secretary whether in the US, UK or the region and it is tougher to ask a person who needs dialysis or chemotherapy or to ask a chronic diabetic or hypertensive patient. The reality is that while balancing a budget matters, so do human lives. The Caribbean has been facing spiraling health care costs for years. In its most recent Budget, delivered in the House of Parliament by Min. the Hon. 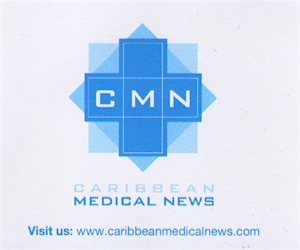 Christopher Sinkcler, millions of dollars in health cuts were announced much to the shock of the Barbados Association of Medical Practitioners (BAMP) members and its President, Dr. Carlos Chase who said that any such cuts have serious implications for the delivery of healthcare at Barbados’ lone hospital , Queen Elizabeth Hospital. More recently, the Nation Newspaper exposed a dire shortage in ventilators on the paediatric ward for babies. This was soon corrected by Minister of Health, the Hon. John Boyce. “Babies may die this weekend”, were the unforgettable words of Professor Dr. St Anne John, paediatrician at the QEH when she referred to the shortage in an e-mail across the QEH to her colleagues. Dr. Carlos Chase of BAMP said that the Hospital was already under great stress with the unavailability of some basic supplies and a waiting list (in some cases) for beds. It was also revealed that the QEH owed millions of dollars to pharmaceutical distributors. In his comments, Chase advised that doctors seek protection and advice from their legal representatives in the event that such cuts affected their ability to provide quality care at its most basic level and lest doctors be seen to not be performing at the expected level of basic competency and putting lives at risk. This has serious implications for the health of the citizens of any Country. Doctors are guided by the Hippocratic Oath and any cuts which affect the ability of health care professionals, wherever they may be located in this world, to carry out their functions with all available basic resources at their disposal at the international standrads expected of the country in which they operate. There is an outcry in the UK as well. According to reports in the media, patients are being placed at risk through cuts by the Government in the amount of 20 billion dollars pounds sterling. Across the UK, the Royal College of Nursing reports that a total of 19, 526 nursing posts are unfilled due to government’s “efficiency gains”. The report says that these cuts to patient care put especially elderly at risk. There is no easy answer. Theorists have proffered that the middle class or “those who are able to pay” should do so, alternative and cheaper pharmaceuticals should be sourced in some cases yet some doctors are not satisfied that these medications have the same efficacy as others to which they are accustomed. In austerity, there is hardship. Perhaps, while governments seriously examine all options including cutting expenditure in other sectors outside of healthcare, doctors may need to also look at ways where they can do the best that they can do, observing not just their Oath but a moral responsibility while continuously engaging in dialogue not only with trade unions but with the very administration. There is no easy answer to this worldwide dilemma. Cuts to healthcare may seem draconian when a populace is accustomed to getting free health care but worse, such cuts may affect life where the inability to pay really exists among the poor and middle class. In austerity, the middle class can almost “cease to exist”. Governments in the region and indeed the first world need to seriously consider cuts to expenditure in healthcare especially in a time when chronic non-communicable diseases (NDs) are almost epidemic. An unhealthy workforce is an unproductive workforce and a drain on the already burdened social services or national insurance schemes of various states. It is time for more dialogue between the major actors, players and stakeholder to find solutions while offering the best care that we can offer as medical practitioners wherever we may be. We only have one chance at life. EDITORIAL: Are elders being denied care due to age? Media and the culture of panic …when irresponsible journalism meets a public health nightmare.